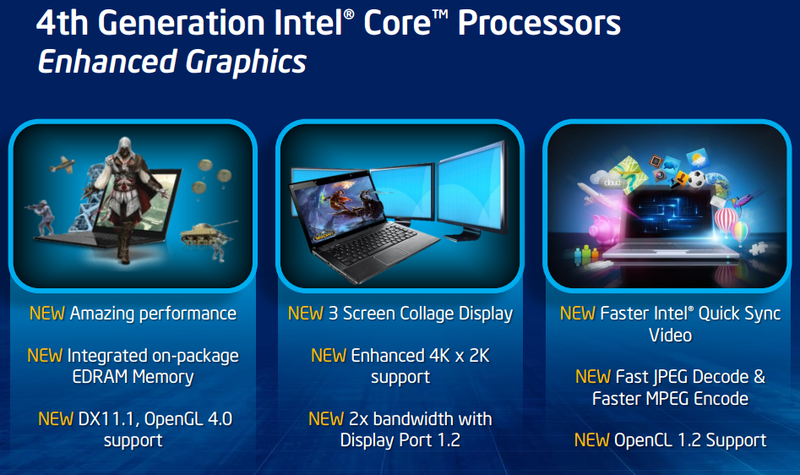 The Intel HD Graphics 4000 (GT2) is a processor graphics card that is included in the Ivy Bridge processors of 2012 (3rd generation of core, e.g. Core i7-3770). The base clock can be automatically overclocked using Turbo Boost technology. 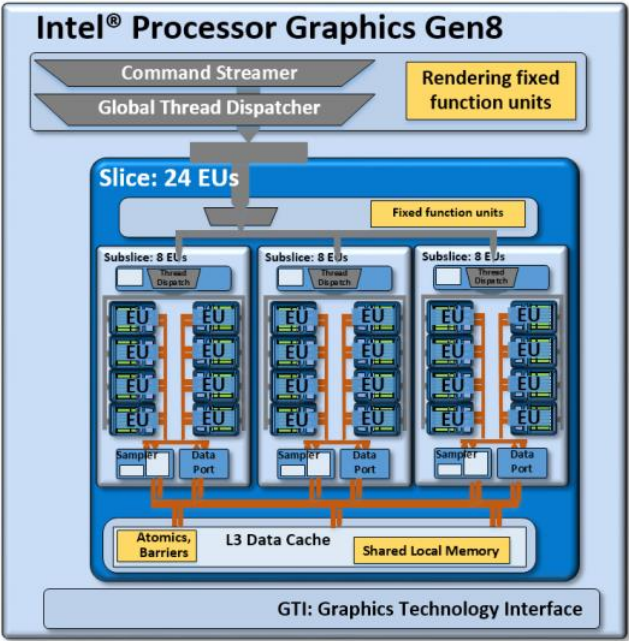 Depending on the processor model, the base and turbo clock rate may differ greatly resulting in different graphics performance of ULV parts compared to high-end desktop and laptop quad-core parts. Compared to the Intel HD Graphics 3000 in Sandy Bridge CPUs, the HD 4000 card was completely redesigned and offers improved DirectX 11 capable shaders, Hardware Tessellation, a dedicated level 3 cache (before the Last Level Cache LLC of the CPU) and DirectCompute support. The IPC (instructions per clock) can therefore be even 2x as fast as with Sandy Bridge and overall up to 60% more performance (3DMark Vantage) should be possible. First benchmarks position the HD Graphics 4000 (in a fast quad core desktop CPU) on a level with a dedicated Nvidia GeForce GT 330M and therefore above the AMD processor graphics Radeon HD 6620G. In our extensive tests with games the HD Graphics 4000 was able to beat the HD 6620G in a fast Core i7-3820QM by about 15%. In the slower i7-3610QM and a dual core i5 it was on a similar level as the 6620G. Therefore, casual gamers that wont mind reducing the quality settings in high end games, may be happy with the performance of the HD Graphics 4000. Beware, that the HD Graphics 4000 is used with different clock speeds depending on the CPU model. The ULV CPUs (Core ix-3xx7U) for example feature lower clock speeds and cant maintain the Turbo frequency as good as the 35 - 55 Watt models. Therefore, the ULV version is about 30% slower on average. Another new feature is the support for up to 3 independent displays (depends on how the HD 4000 is used in the laptop - maybe only with a DisplayPort / eDP) as AMD offers with theirs Eyefinity support (up to 6 displays). 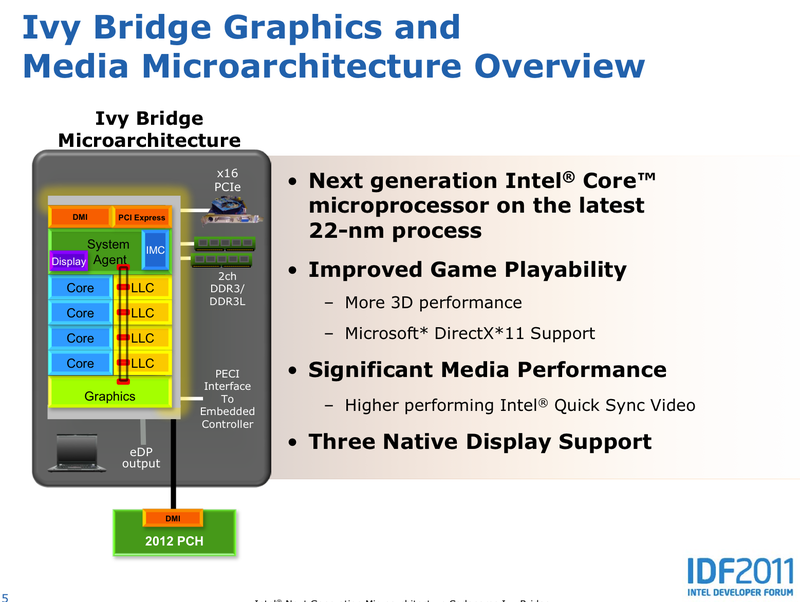 DisplayPort 1.1 (max 2560x1600) and HDMI 1.4 (max 1920x1080 without hacks) are supported by the chip according to Intel. Due to the 22nm 3D Tri-Gate production process, the power consumption should be relatively low (the development was focused on performance per Watt). The TDP of the whole package (including processor and memory controller) varies between 18 Watt (ULV) up to 45 Watt (mobile quad core) for the consumer laptop CPUs.